Preschoolers and young children learn basic concepts through a variety of hands-on experiences. At the same time, I love to use preschool books to add another layer of learning. Developing basic concept vocabulary helps kids communicate and understand information in a variety of settings. These titles make great springboards into multi-sensory learning activities. If you want to build a basic well-rounded preschool library, these titles would be a great start! Dog’s Colorful Day by Emma Dodd really fits here and in the quantities category. Dog finds himself getting into lots of colorful messes. The pictures are bold and bright and perfect for an interactive read-aloud. Kids can point to each color and count the spots. Fans of Karma Wilson’s Bear books will delight in this rhyming tale of Bear and friends as they encounter things of many colors in Bear Sees Colors. The illustrations are great but don’t expect to be exposed to ALL the basic colors in this book. It can be tough to find multicultural titles for the preschool level. Red is a Dragon by Roseanne Thong not only exposes kids to colors but also learning about the Chinese-American culture. Check out some of our other favorite color themed books. Help kids learn about opposites and words that describe with these titles. Duck and Goose are two lovable characters who take us on a lesson of opposites in What’s Up, Duck? by Tad Hills. It is a very simple book, but the illustrations work well for encouraging kids to predict. Yes, there are Duck and Goose books that also teach about colorsand counting. Sun Above and Blooms Belowby Felicia Sanzari Chernesky takes us to the farm to explore things we would find that are opposites. The text of the opposites are printed in a different color reminding us to emphasize those words. It’s also a good book for learning about the farm. Sanzari also has a variety of other concept books including Pick a Circle, Gather a Square (shapes) and Sugar White Snow and Evergreens (color). Up, Down and Around by Katherine Ayres is a rhythmic story about the different plants that grow underground, above ground and all around. Not only do kids learn about the directional words but they get a great science lesson too. Perfect for working on the words up, down and around. You can also listen to Ayres read her story in this video. There’s a Mouse About the House! practices through on each page because the kids get to take a small moveable mouse through each page. Plus, the kids work on left to right progression. This is one that the kids will want to interact with during the read-aloud. Outdoor Opposites by Brenda Williams gets the kids moving and singing about opposites. The Barefoot Books title comes with sing-along cd. Kids can shrink down low and then rise to illustrate grow. This is a fun book to act out to learn about opposites. And, the illustrations depict children from a variety of cultures. One of the reasons I like The Way I Feel by Janan Cain is that the illustrations really help to “show” each feeling. Glad Monster, Sad Monster by Ed Emberly uses die-cut monsters to help teach about feelings. Each page spread contains a fold-out feeling monster mask. I love Todd Parr’s work. His work exudes acceptance, understanding and diversity. In his The Feelings Book we explore many feelings that kids have with bright, bold and engaging illustrations. Fish, Swish! Splash, Dash! by Suse MacDonald is a two for one. Count the fish created by die-cut pages to ten. Then, turn the book over and count backwards from ten to one. Another counting forward and backward book with more story elements than Fish, Swish! Splash, Dash! is The Deep, Deep Puddle by Mary Jessie Parker. My preschoolers adore this book. It’s very silly and fun. The Doorbell Rang by Pat Hutchins teaches kids about dividing cookies so that all friends are able to share the goodies. Each time the doorbell rings, a new friend arrives and the cookies have to be further divided. Will there be enough cookies for everyone? For more counting books, check out our Counting Books in the Garden. Using familiar fairy tales is a good place to start helping preschoolers learn about sequencing . 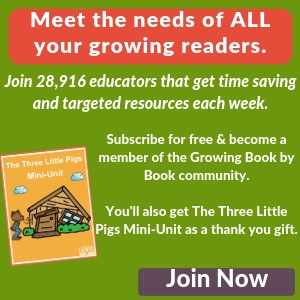 Two of our favorites are The Three Little Pigs by Patricia Siebert and The Three Billy Goats Gruff by Carol Ottolenghi. You will also want to check out our Three Billy Goats Gruff storytelling pieces that will aid in sequencing. Then there is the classic The Very Hungry Caterpillar that also works beautifully for sequencing. Take learning a step further with the book and check out our letter sort activity to compliment the book. One of my other favorite books is We’re Going on a Bear Hunt by Michael Rosen. 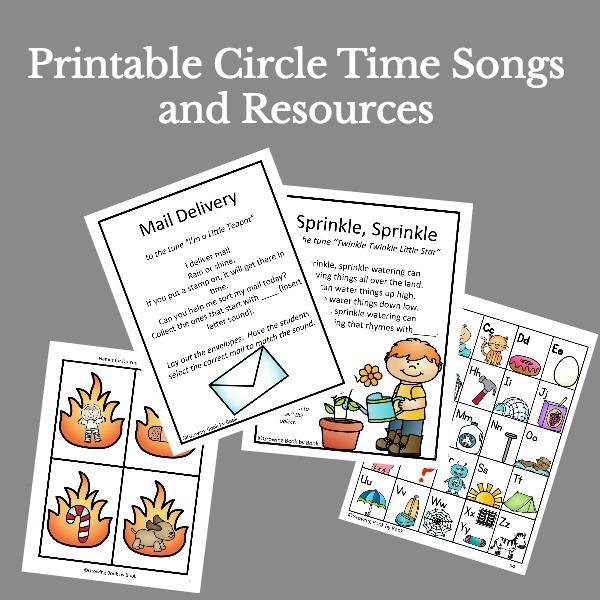 The sing-song repetitive lines helps kids remember the parts of the story which is beneficial for sequencing the story. I mentioned Thong’s Red is a Dragon book in the color category and I’m also including her Round is a Moon Cake for the shape category. Thong also wrote Round is a Tortilla which teaches about shapes using many items from the Latino culture. Shapes, Shapes, Shapes by Tana Hoban contains photographs of objects all around us . It’s a good one for encouraging kids to look around and find objects that are different shapes around them. If you just want to focus on circles and squares, check out her So Many Circles and So Many Squares book also. Mouse Shapes by Ellen Stoll Walsh is found in many preschool settings and for good reason. It also works for working on colors. Check out the Mouse Shapes name activity we created to compliment the book. You might also be interested in Mouse Paint and Mouse Count. 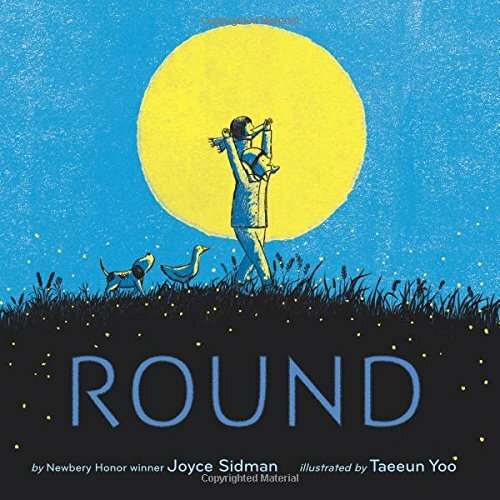 Round by Joyce Sidman is a wonderful and beautiful book that just focuses on things that are round. It talks about how round things move, feel, and look. In Rosie’s Walk by Pat Hutchins, we follow the hen as she takes a stroll and is followed by a hungry fox. Will Rosie get back safely to the hen house? Inside Outsideby Lizi Boyd challenges us to use our eyes to find things that we would find outside and inside a house. There is even a challenge to find a set of mice on each page spread. Explore spatial relationships when a little duckling gets separated from his family in Waddle, Waddle, Quack, Quack, Quackby Barbara Anne Skalak. One of the neat things about Big & Little by Steve Jenkins is that the illustrations are drawn to scale. Kids get a good sense of the comparisons plus they learn about different animals while interacting with the story. Explore long and short with animal comparisons in The Long and Short of It by Cheryl Nathan. Little Elliot, Big City by Mike Curato will delight preschooler listeners as they identify being small in a big world. Tails by Matthew Van Fleet is a fun interactive book. You will find different touch-and-feel experiences as well pull-tabs and scratch and sniff features. Spiky, Slimy, Smooth by Jane Brockett takes us on a photography journey of all the different textures we find in our environment. Cookie’s Week by Tomie DePaola takes us through the busy week of a mischievous little cat. Text is sparse and really focuses on the order of the days in a week. The illustrations are packed with adventure. A Second is a Hiccup by Hazel Hutchins helps preschoolers associate time with everyday activities. For example, you can turn around in a second or a minute is the length of one small song. Twelve Hats for Lena by Karen Katz walks us through the months of the year as Lena makes a new hat for each month. We also learn about the symbols associated with each month. I think the kids would like to make their own sets of hats after being inspired by this book. So there you have it. 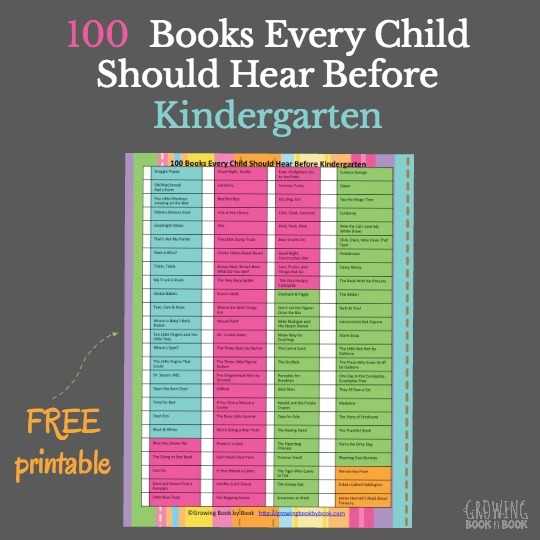 A great big list of books for preschoolers to help them learn basic concepts. A great starter library for a home or classroom library. 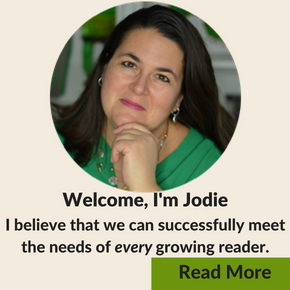 Grab a FREE downloadable list of the books on this list HERE. P.S. We share lots of book lists on Growing Book by Book. Never miss when a new one is created. Sign up for our FREE newsletter. What a great list of books! I am going to pin to my toddler books board on pinterest.